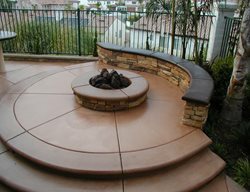 Get this look using SkimStone in Mocha, Florentine Clay, Yellowstone and Deep Slate. 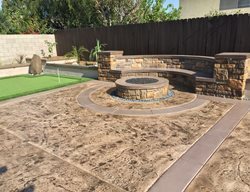 This artfully designed custom patio and fire pit features stamped concrete using a texture mat pattern and a cobblestone border pattern and colored using Solomon’s Rosemary with Surecrete’s dark walnut and charcoal release. 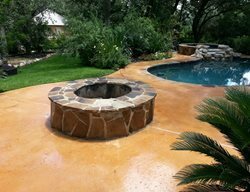 Highlighted areas were hand stained with Surecrete's Eco-Stain in burnt crimson. 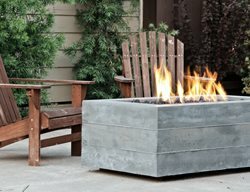 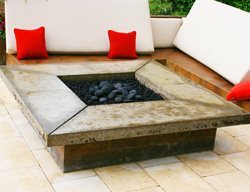 Fire pit with stamped border and alternating triangles of heavy and light sand blasted concrete. 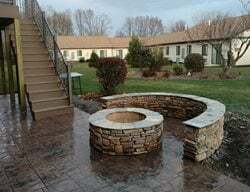 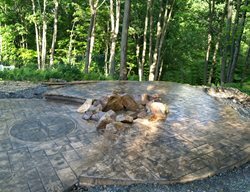 Stamped concrete patio (ashlar slate) surrounds an existing brick fire pit. 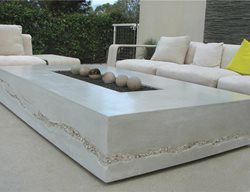 Outdoor firepit made with solid concrete and a Fossil Crete overlay. 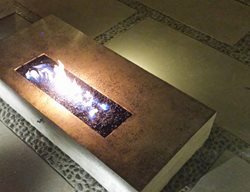 Caps were poured in the shop and installed later. 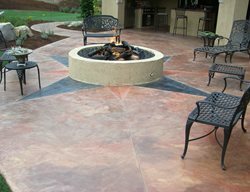 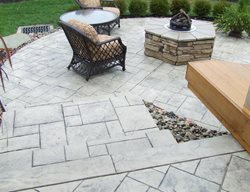 Entire patio poured with colored concrete, stamped with ashlar cut slate with brown release. 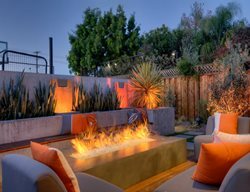 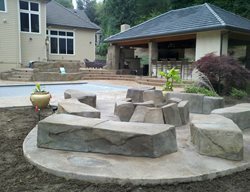 Read more about this patio project.